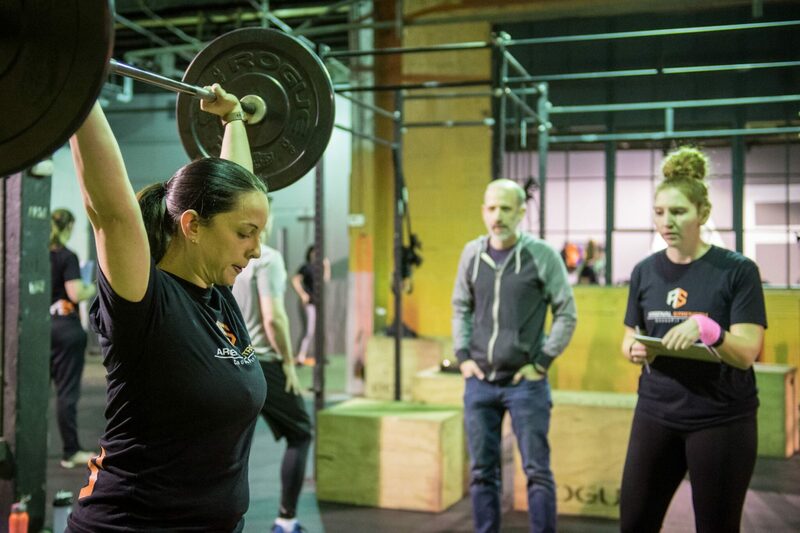 “I had driven past several CrossFit gyms when I was around 120 lbs overweight and constantly thought to myself, when I get myself in shape, that is exactly what I am going to do. I loved the idea of challenging myself, increasing my strength, and taking on obstacles that I had never thought possible. I did lose most of that weight on my own before signing up with Arsenal, but I realized when walking through those doors that my fitness journey could have begun here. Every single person is made to feel valuable, no matter what their ability is. I come in each day knowing that I can do the WOD to the best of MY abilities and that is what matters. I can’t say that I wasn’t nervous before the first workout and even after. Doing movements that I have never done, exercises and routines that even felt awkward made me wonder if I had made the right decision. I noticed immediately though that the coaches and fellow athletes were extremely supportive and encouraging and helped me feel immediately at home. My biggest obstacle was me and the voice in my head telling me I couldn’t do something. Each day that voice gets pushed further back in my mind as I realize that I can and I will continue to improve each day. I look forward to CrossFit everyday. I love the community of people and support system. I love the challenge of each workout and that feeling when you accomplish something you did not think was possible. Signing up for the Open before even finishing the New You program sounded like a crazy idea, but it is one of the things I am most proud of in my life. I didn’t have the heaviest weights or the best times, but I finished every single workout as strong as I possibly could. I did things I would never have imagined myself doing and I can’t wait to see how I improve for next year.